Our friend Alex Chepstow-Lusty, not content with the phenomenal exposure his work on llama dung is already receiving, has kindly agreed to write a small piece for us too, ruminating on his findings. Thanks, Alex! For the photos too. BTW, that’s Alex down there with the laptop and the mite. Llamas become important in the record from about 3500 years ago (the evidence comes from counting the mites eating their broken down excrement), and they are an integral part of the rural economy because besides wool and meat, their excrement was vital to providing fertilizer for the fields, as well as dried for providing fuel for heating or cooking in the mountains where there were very few trees. The fact that they defecate together makes it much easier for people to collect it, as for example in the pasture right next to the little lake of Marcacocha. But fertilizer in combination with the crops quinoa and potatoes and their wild relatives was not enough to drive a massive human population explosion. However, maize introduced 2700 years ago in the Andes provides lots of calories and a brief warming allowed it to be grown at high altitude (maybe a new form had been suddenly developed?) and it is very transportable and easily stored. It was at this time 2700 years ago (or 700 BC) that llamas would have also been used for transporting goods, and an indirect benefit of that with all the caravans would have been the excrement they produced, but elsewhere herds not used in transport would also have supplied excrement. With the introduction of maize, this is when people take the full leap to an agricultural society, instead of also relying on many wild plant resources and start weeding on a big scale as fields are developed. 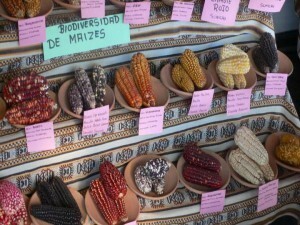 From this time onwards, numerous varieties of maize were developed in the Andes-making it one of the most important centres of maize diversity in the world. 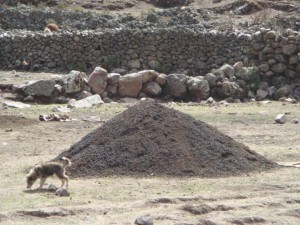 I think using animal manure has been always a widespread practice (probably with human excrement) to provide fertilizers in the Andes and elsewhere. In the Andes, at 700 BC the full shift to agriculture with maize is so much later than the Fertile Crescent where this process, the combination of cereals and animals domesticated (and hence availability of animal fertilizers) allowed civilizations to take off 10,000 years ago. 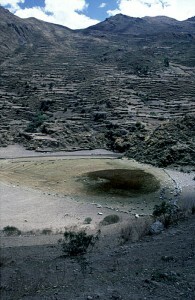 Maize and muck were the essential ingredients to drive the expansion of the Inca Empire (AD 1400-1533), which also coincided with a period of warming that began from AD 1100, allowing cultivation of much larger areas at higher altitude for maize-fertilized by llama excrement, but also probably human excrement. 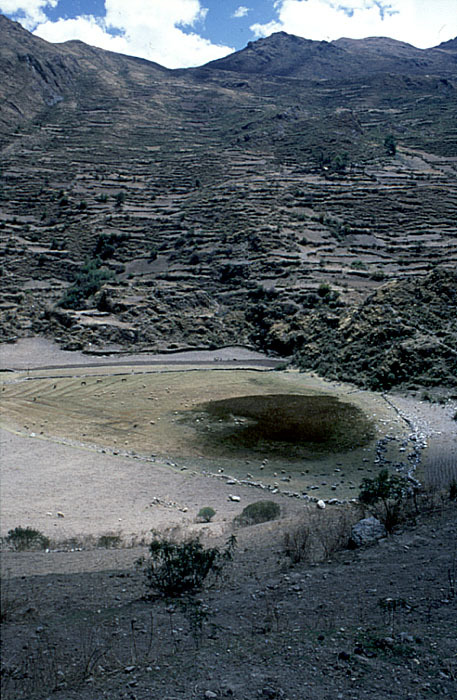 The Incas were the masters of relandscaping the landscape with irrigated terraces. They also had store houses particularly full of maize across the Empire from what is today the Colombian border to the middle of Chile, which the Spanish described as able to support the Empire for another ten years when they arrived-which could easily support a large army. These supplies would have been transported by llama herds as well as by human porters. Hence, without maize and muck, there would not have been the people freed up and fed to form a huge army and build such monuments as Machu Picchu. 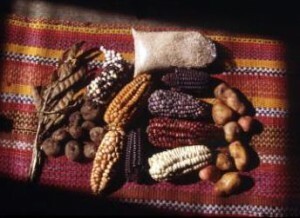 Quinoa and potatoes are still important elements of the diet, but maize could support an Empire, and also provided a ritualistic drink, chicha, still very important in the cultural life of the Andes. 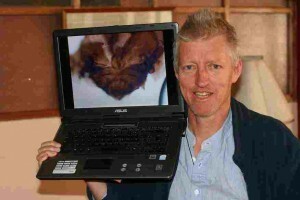 Thiele of CIP, made in an exchange of emails with Alex which he has kindly shared with us. Productivity in farmers fields is only part of the story. Potatoes are perishable and bulky per unit of energy. Nowadays they are generally considered as non-traded commodities by economists because they are generally produced and consumed relatively locally and don’t cross international borders to anywhere near the same extent as cereals. This would have been even more true in the pre colonial period where everything had to be carried on peoples backs or by llama. So maize has a huge advantage as an energy dense storable food for extracting surplus from any type of political system which is more than very local. So potatoes and other roots and tubers would most likely have been produced and consume locally whilst maize could be traded, moved and stored over a much longer distance. So it was perhaps the transportability of maize which mattered more than its productivity. Potato can be made more energy dense and storable by turning it into chunio, but this has an additional cost, leads to nutritional losses and needs high altitude processing areas with regular frosts. I guess this might have happened in the Aymara kingdoms. I wonder if corn was ever used to supplement the llamas diet. We all have seen that corn doesn’t always make it through our systems fully digested… in feeding llamas corn, using them for transport, and using their dung as manure – there seems to be a great deal of potential for seed dispersal both intentional and inadvertent. I wonder if there is a higher level of biodiversity of corn races along major trade routes.